Raising Cane's suspect identified by police. 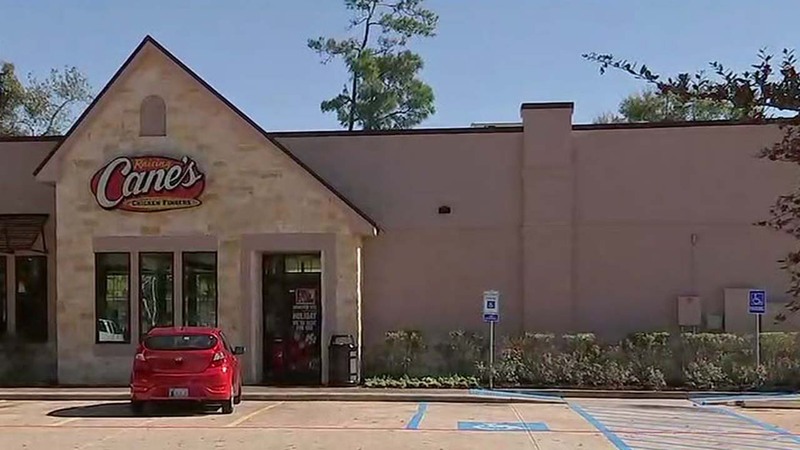 MONTGOMERY COUNTY, TX (KTRK) -- Police have identified 17-year-old Elijah Mark Cobb as the suspect in a robbery at the Raising Cane's in The Woodlands. Cobb was killed by an off-duty deputy Tuesday night at the restaurant, located in the 1500 block of Research Forest Drive. We're hearing from an employee about a deadly robbery attempt at a Raising Cane's restaurant near The Woodlands. Detectives say when Cobb came inside the Raising Cane's he had a gun and grabbed an employee. That's when the off-duty deputy confronted the suspect. All of it happened in front of customers and employees. "Officer Skip, that's the guy who saved the day. He came in and he pretty much you know he pretty much had the gun out, like, you know 'drop the weapon' because he had his hand on a gun and he was like, 'no, I'm not going to hurt her' that was his exact words and he said, "I said drop the weapon." And he still wouldn't listen and he fired five times into his chest at point blank range," Bralin Henderson told ABC13. Two employees were injured during the robbery.